Home / Migos / MUSIC / Stalley / Stalley And Migos Link Up For "New Line"
Stalley And Migos Link Up For "New Line"
Stalley and Migos is a weird link up to be honest. Stalley continues to be on his J.O.B., Following quiet releases of his two new projects this year: New Wave and Another Level. The Ohio spitter takes a trip down Georgia to link up with Migos for his latest single My Line. 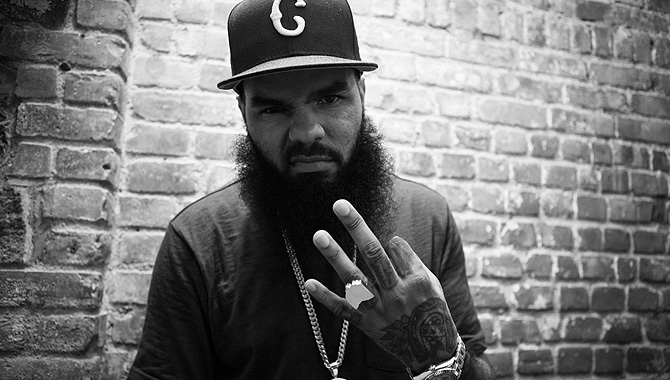 Two new albums released this year and Stalley is already cooking up his third. "New Line" is the first offering from his newly announced Tell The Truth: Shame The Devil due in the coming weeks. For some reason, I feel these album titles are subtle digs at Rick Ross. Y'all would probably think I'm reaching but let's just watch things unfold.